- Use uninterrupted Electricity Let Sun pay your Electricity Bill. During the decision time Ecoprogetti analize and design the turnkey project in close contact with the customer, listening to all specific needs in order to optimize production flow of the photovoltaic modules. Ecoprogetti gives installation services for all the products in order to guide the customer to a quick start-up. Chemtrols Solar offers wide range of Solar Power Packs ranging from 1 kWp to 5 kWp solutions both in Stand Alone & Grid hyHrid technology. Chemtrols Solar unique Solar Power packs are ideal for any remote location or places facing huge power cuts. Involute Engineering Services is a fully integrated and comprehensive EPC solutions provider. We deploy world-class technology to design, install and commission benchmark solar projects across India. 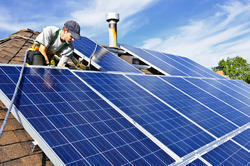 We have MSME Certified technician team for solar installation and maintenance at PAN India Level and abroad. We ensure the our clients the recomended design installation and quality work for the best results. 1) We encourage the youth by assigning the installation projects with our highly experienced team. 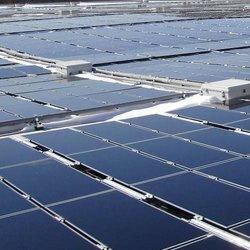 Supported by a highly accomplished crew of employees, we are rendering Solar Parking Installation Service.